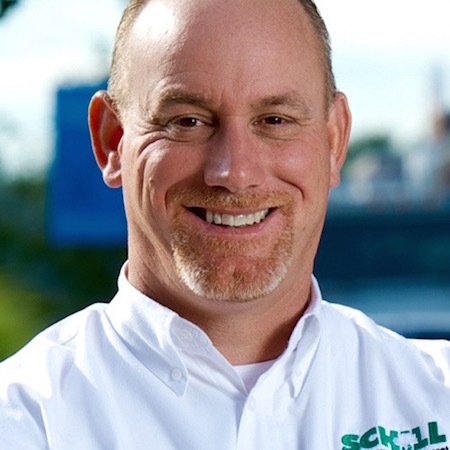 In 1993 we started Schill Grounds Management (SGM) with our first office in a garage. Here we are 25 years later with 3 office locations, nearly 130 employees and around 400 commercial properties serviced each year. There's been good times and learning experiences, victories and growing pains but through it all, not only did we become successful in business, we've gained an invaluable amount of wisdom and experience. Although today SGM is strictly B2B serving industrial, medical, retail properties, apartment complexes and HOA’s, we did not start out that way. When we first started, we took on all sorts of work both residential and commercial. As a new business, you've got to be willing to take on jobs that will not only build your reputation but also allow you to make profit and grow. As just a couple of guys excited to jump into business for ourselves, we looked for every opportunity to acquire new clients. We did everything from landscaping, patios, mulching, sodding and mowing. Over time we recognized the services we should focus on that are the most profitable. Today, Landscape management and snow and ice removal are our main services, but we're beyond grateful for the early days. They helped us become who we are today. Although our business model has changed from B2C to B2B, our passion to work has not. We love what we do and at the end of the day, we're still the same guys who were willing to go out and get our hands dirty in order to deliver outstanding results to our clients. As the old saying goes, if you love what you do, you'll never work a day in your life. Many times business owners think they have to be right all the time. However, one virtue that should always be adhered to no matter what, is honesty. Once a client realizes that you're not being honest with them, trust goes out the window. Trust is hard to gain and even harder to win back once it's gone. Over the years we've had to make tough decisions and honesty has always been at the forefront. It's not about just being honest with clients, it's also about being honest with yourself. That is how we've maintained quality relationships with our clients and experts in many fields within our industry. Being associated with integrity and excellence makes a difference and we will not compromise this. 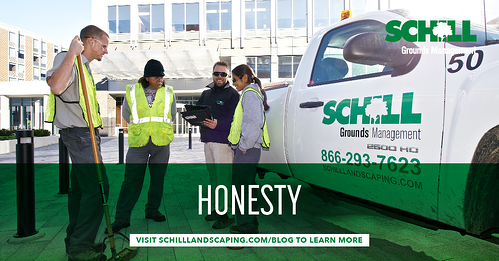 Through our service, honesty and integrity, SGM has become an industry leader for landscaping and snow removal. 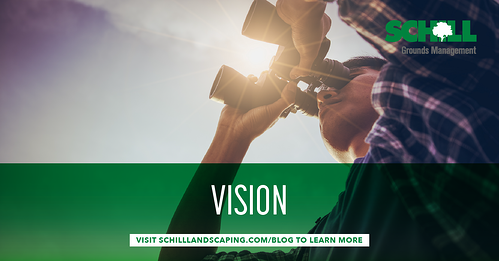 We take pride in being a resource for others and through the mentoring program "Trailblazers" which is part of the (NALP) we share our knowledge and experience with other landscaping professionals. Giving back in this way has been one of our greatest achievements. Steve Jobs once said "At Apple we don't hire smart people and tell them what to do, we hire smart people so they can tell us what to do." Smart hiring has been central to our growth and when it comes to management, we believe hiring specialized experts enhances our work and maximize our efforts. Building a successful company requires many moving parts. It also requires recognizing and implementing the key pieces that need to be put in place. That word "Expert" is predicated from the word "Experience" and hiring experience into our organization along with our mission and values have been the cornerstone of our success. 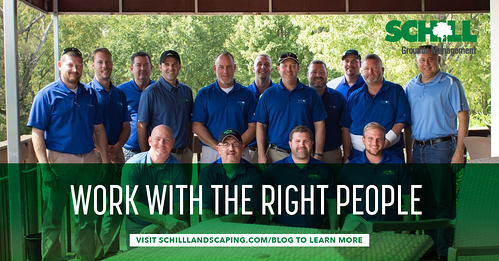 When our clients see Schill Grounds Management, they don't just see one person, they see a brand. It’s our job to make sure that brand is associated with outstanding service. Because our services are tied to mid-west weather, which is unpredictable, knowing what to do and when to do it is key. Clients’ needs may change or they may want to go in a different direction altogether, so making sure this is handled accordingly is key. Since, our contracts are multi-year, it balances out. Our sales team understands this process and that patience and persistence generates big rewards. That is why before hiring someone, we take the time to make sure they're a great fit for our culture, which has been another pillar to our success. Business is about people, directly and indirectly. From staff to clients, prospects, residents and the patrons that see our work. We understand that service to others is what this industry is all about and we embrace that. It starts with our staff. Making sure we take care of those that directly take care of our clients and their properties is crucial to success. That's why providing the right training, resources and incentives, ensures our team has everything they need to be successful. With nearly 130 employees comprised of management, account representatives and crew, our team is our family and we work on one accord to create the best results. Maintaining more than 400 properties year-round, we understand how each client has different needs. So, although we may provide snow removal in the winter, we might not perform landscape maintenance during green season for that same property and vice versa. We strive to deliver Extraordinary Results. Results speak louder than words, and as business has grown, we continue to put people first. 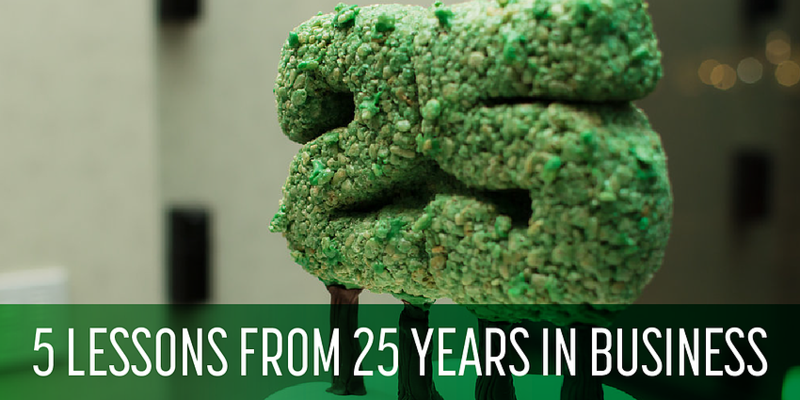 25 years of business is amazing but we have no plans of slowing down anytime soon. We are primed and ready for the next 25 years and plan to grow organically, one team member and one client at a time. Provide value and opportunities for the community is a big part of our mission. Since the economy has bounced back, it’s created a lot of growth opportunity and we want to take advantage of that. Growth has allowed us to provide numerous jobs and resources to give back. In 2018 we created a scholarship fund for leadership and entrepreneurial spirit as well as donations to various charitable causes. It's a blessing to be able to make a difference in other people’s lives. We're also not afraid to bet on ourselves. If you do not continue to test your limits, you'll never know what you are fully capable of. By doing a little of everything in the beginning, we recognized our strengths and built the business with a very sharp focus. 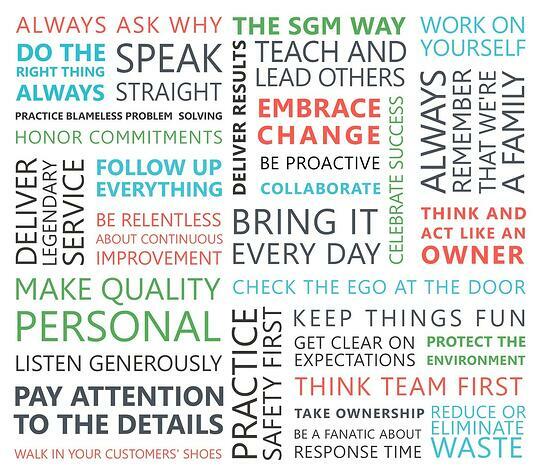 At our headquarters, we have “The SGM Way," 34 Fundamentals and the Actionable Behaviors that drive our organization, displayed across our conference room wall. We understand business is about Mindset. You only become Successful if you Think you can. 25 years has had its bumps in the road but it gave us the knowledge, understanding, experience and focus to become who we are today. 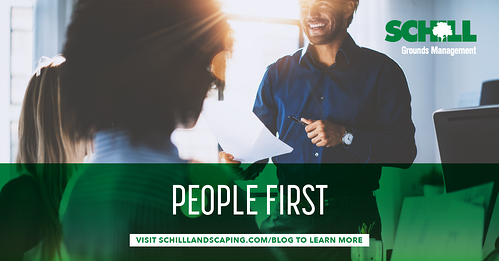 These 5 lessons have shaped our structure, our culture and ultimately our future as we are on the path to becoming one of the best commercial landscape and snow removal companies in the nation. We want to thank all of the individuals who have been apart of this incredible journey from our staff, clients, partners and families. They have all made what we do at Schill Grounds Management possible as well as apart of our success. We're blessed to have had the many opportunities and experiences and looking forward to what's in store.